Instrumentation, control and level measurement. NIVELCO is a Hungarian company founded in 1982, with 8 subsidiaries and present in more than 70 countries worldwide. In Portugal, Bresimar is the exclusive representative of the brand. NIVELCO is dedicated to the manufacture of industrial control and level measurement instruments and offers a variety of products compatible with a variety of industries such as: water and industrial waste, food and beverage, construction, mining, chemical and pharmaceutical, petrochemicals, energy, plastics, metallurgy and mechanics. 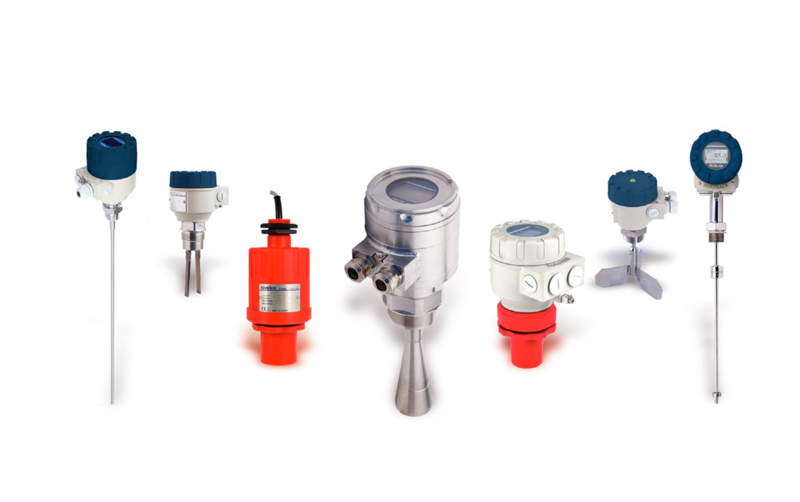 You may benefit from this brand if you are looking for level measurement solutions such as transmitters and level switches, liquid instrumentation, flow measurement, temperature meters, sensors and system components. The brand has been increasingly ensuring its presence online, with the creation of NIVELCO Academy, an online audiovisual unit, with presents and explains the product range and its functionalities, bringing the brand closer to its (new) customers. 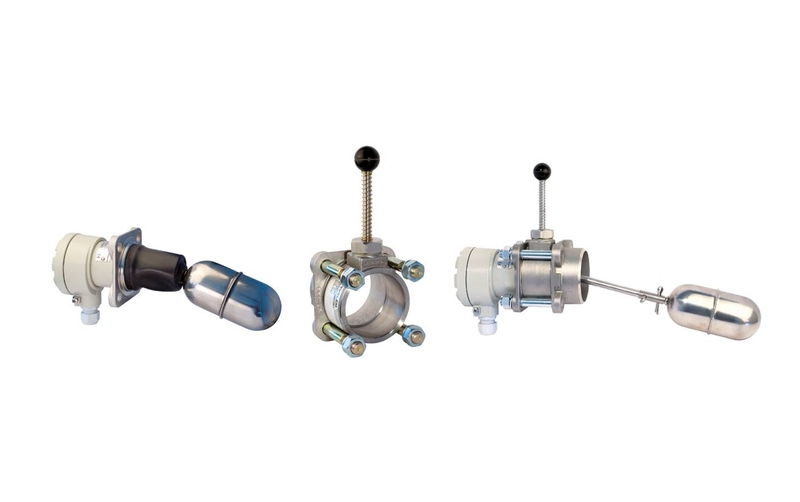 NIVELCO presents various models for level transmitters, for liquids and solids, in compact and integrated formats, which are good solutions for industries such as water, pharmaceutical, chemical, food and energy. These devices have a process temperature range of -30ºC to + 250ºC and have different levels of protection, ensuring effective use in various media and objectives. The PiloTREK model from NIVELCO comes in a compact and integrated version. Both types of transmitters are useful for level measurement of liquids, emulsions and other chemicals where high precision measurement is required. They are suitable solutions for the water, pharmaceutical, chemical, food and energy industry. The MicroTREK range is intended for the measurement of fuming or dusty solids in tall, small-diameter tanks. One of the great advantages of this product is the precise measurement capability of materials, which can be applied in high pressure (0-40 bar) and temperature (-30ºC to 200ºC) environment. The EchoTREK range offers solutions compatible with liquids and solids, differing, among other characteristics, in its transmitters (which can be 2 or 4 wires or only 4 wires (solids)) and the composition of its enclosure. The liquid version encompasses most of these, including flammable, and can be used in a wide variety of industries and purposes. The solids version is used in the most challenging applications, such as powder resulting from filling and most granular solids, ensuring functions such as level measurement and volume or weight calculation. The EasyTREK range of transmitters offers solutions for liquids and solids, differing, among other characteristics, in the transmitter (2 wires in the liquid version and 4 wires for the solids version) and in the composition of its enclosure. The liquid version is intended for most of these (including Ex environments), giving reliable measurement in more challenging applications, such as those containing vapours / gases and higher agitation environments. The range applicable to solids is for most freely flowing solids, giving a calculation of level, volume or weight with a wide range of applications. The NIVOCAP range of transmitters is intended for level measurements of conductive and non-conductive materials such as liquids, powders, granules with? R> 1.5, chemical products (with dense gas layers), viscous or corrosive materials. This range supports high pressure, high temperature or vacuum environments. The NIVOTRACK range is intended for liquid environments with a minimum density of 0.4 kg / m3, such as chemicals, solvents, hydrocarbons and flammable liquids. In terms of functionalities, this range comes equipped with a compact 2-wire mini-compact transmitter, rigid or flexible probes up to 15m and a resolution of 1 or 0.1mm. The NIVOPRESS D range is intended for the transmission of liquid and paste levels in environments of greater hostility, such as in tanks and reservoirs. It is a suitable range for chemicals with dense layers of vapours or gases, foamed liquids, viscous or corrosive materials. The NIVOPRESS N range is intended for liquids and the water and chemical industry. This solution is equipped with a 2 or 3-wire submersible transmitter, up to 200m in range, with reverse polarity and lightning protection (optional) and ± 0.25% linearity. This solution can also incorporate a PT100 temperature sensor. This solution operates without a power supply and is prepared for a measuring range of 500 - 5500mm. It has a precision of ± 10mm, stainless steel or titanium float and can have a magnetrostrictive level transmitter (optional). This solution can be found in the oil, chemical and energy industries. NIVELCO level switches are suitable solutions for liquid and solid environments, suitable for a variety of industries and applications. This is a level switch for liquids, using a float (without mercury) and without a power supply. It is a good option for drinking water or sanitation tanks to avoid overfilling and pump protection. This is a low-cost level switch, suitable for conductive liquids. It is a useful solution for the chemical and water industry. It features compact or remote solutions with various electrode and holder solutions. Magnetic floater (NIVOMAG) This switch is appropriate for liquids with a minimum density of 0.7 kg/dm3, which does not require a power supply and has safety level and control switches in enclosed tanks. This solution is indicated for use in power plants, as well as in the chemical, petrochemical and pharmaceutical industries. The magnetic float is the solution indicated for liquids with a minimum of 0.5kg/dm3 of density. This solution has up to 5 adjustable level points, in stainless steel or plastic and Ex option. It is indicated for the chemical industry, liquids with foam, vapours or gases on the surface. The vibrating shaft is a level switch model, with no moving parts and a stainless steel vibration probe. This solution, which also adds a rigid rod or flexible cable up to 20m, is suitable for granulated or powdered materials with a minimum density of 0.05kg/dm3, such as: grains, flour, plastic granules, cement, ash, etc. O NIVOSWITCH is the switch model suitable for liquids and solids. The version suitable for liquids is intended for most of them, with a minimum density of 0.7kg/dm3 and a maximum viscosity of 10,000 mm2/s. It is a solution compatible with corrosive, thick, turbulent and fluid liquids. The solids version is intended for granular or powdered materials with a minimum of 0.01kg /dm3 of density and can be used in the chemical and food industries. The NIVOROTA model is a suitable solution for granulated or powdered materials with a minimum density of 0.1kg/dm3, being compatible with: food, coal, sand, rocks, limestone, metals and rubber. The NIVOCAP CK capacitive switch is a suitable solution for liquids and solids with ?r?1.5. It features an intelligent, non-tank-sensitive and easy-to-calibrate electronic level switch with LED display. This solution is recommended for the pharmaceutical and food industries. AnaCONT 2-wire instruments are designed to measure pH (0 - 14 pH) and ORP (± 1000 mV) values of liquids and aqueous solutions. The pH measurement is based on the signals from the submerged probe and compensated by the temperature sensor. The ORP potential analysis is a parameter that indicates the sum of oxidants and reducers in the environment under analysis. The output signals from the probes are processed by the electronic unit and converted into a proportional output signal. The 2-wire mini-compact conductivity transmitters are designed to measure the conductivity of a liquid and convert the value into a 4-20 mA output. They are especially suitable for the production of drinking water, processing and purification of water, for use in swimming pools, pharmaceutical and chemical industries, as well as in the food and beverage industries. The AnaCONT LED is a 2-wire compact Dissolved Oxygen (DO) analyser with current output, relay and HART option. This solution has several practical applications, taking into consideration, for example, water conditioning in large aquariums, determination of the biological condition in surface waters, production of drinking water and monitoring of rivers and water treatment sites.